I can quite enjoy a little tease with a blog title. It’s probably bad journalism, for readers don’t know what the story will be about. Or maybe it draws them in because they wonder what it is about. My thoughts might include a game like ice hockey where skaters hammer a chunk of rubber called a puck all over the place at enormous speeds. No, this has nothing to do with ice hockey or any other game using a puck. Then there’s Puck, the sprite in a Midsummer Night’s Dream. I may be a bit of a nerd, but I also know a bit of Shakespeare. Amongst performances of A Midsummer Night’s Dream I have seen was one at the open air theatre in Regents Park, London. But we are not dealing with that Puck. Another literary Puck I ought to know more about is Puck of Pooks Hill – one of Rudyard Kipling’s Sussex tales. Sussex was the county of my birth and childhood and that book was always on the shelf at home. But although I loved other Kipling (The Just So Stories were selected by me when asked to name my favourite childhood book). Puck of Pooks Hill remained unread. So this blog is certainly not about that Puck although there just could be a connection. This Puck with a capital P is a little bit of family history. It was my dad’s soft toy when he was little. He was born in 1919, some 9 months after grandad came home from the First World War. Grandad never found a land fit for heroes. We have already seen that he had to do cobbling because his real pre-war job just wasn’t available. 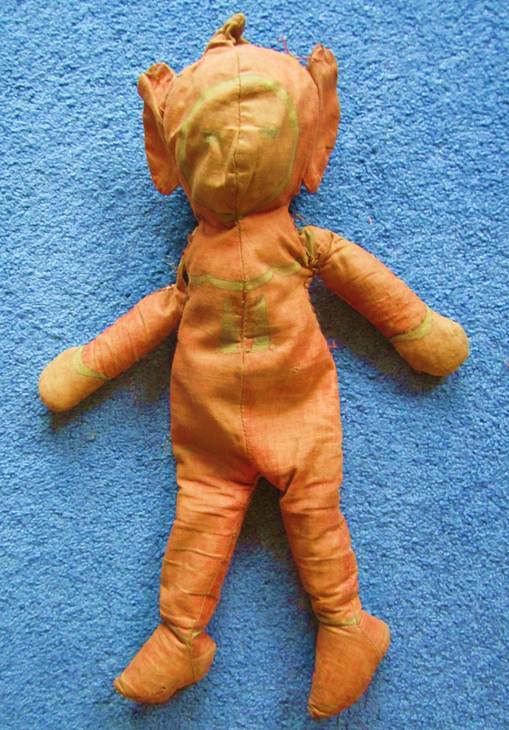 Money was very tight and luxuries were few and far between BUT Dad had a soft toy which he called Puck. Puck is now in my possession so here he is. Dad’s Puck is every bit what a Puck should be, with enormous ears and a pointy head. He’s filled with something that might be dried peas or some other kind of seed. I daresay he wouldn’t do for a child of today, but 90 or more years ago, Dad loved him. Granny, Grandad, dad and his sister lived in a flat in Bexhill. Space wasn’t plentiful. Seemingly, as dad grew up, Granny decided Puck had to go. Dad was not prepared to allow this to happen. He hid Puck away. It must have been summer for his chosen hiding place was up a chimney. Granny never found it and when the hunt was over, dad retrieved and was able to keep his much loved toy. These days Puck is kept in a bag of some interest. 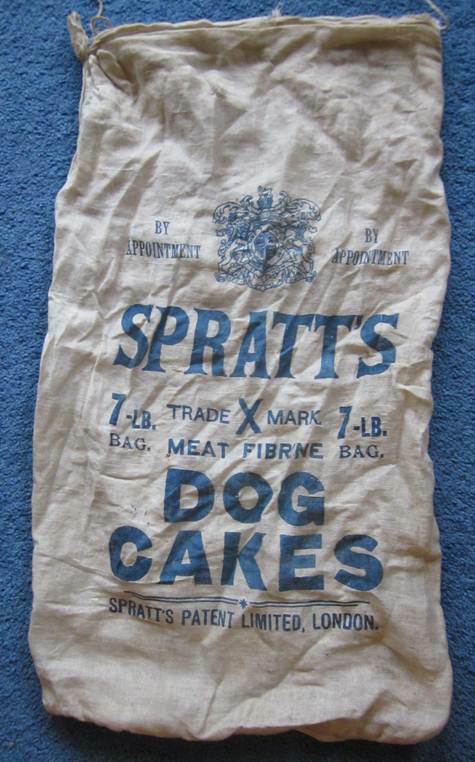 Spratt’s dog cakes – holding 7 pounds weight of these dog cakes. Sorry, I can’t date this lovely cotton bag but it could be the 1920s and maybe my dad had this bag as well. Oh, by the way, I know that Puck of Pooks Hill was one of Dad’s favourite books so maybe he got a character to match that. Here’s a chance to meet some more relatives via one of my dad’s colour slides. This was taken in 1961. We had gone camping since I was less than five. By 1961 my dad had a job which required a reliable car. He decided what we should have was a Bedford Dormobile. They were quite cheap because they counted as living accommodation and were exempt from purchase tax. Although it may have seemed big for a car, the chassis and engine were the same as those used for Vauxhall cars. And the Bedford made for easy camping, particularly if just mum and dad went away since they didn’t need a tent at all. That’s the Bedford behind the people here. It was what I drove as a learner and after I had passed my test. Hang on. This is meant to be about the people! On the left we have Granny and Grandad. We have met them before – most recently in Grandad’s shoe repairing business in Tunbridge Wells. By 1961 He was retired and he and granny had the best home they ever had – a little bungalow with a garden. 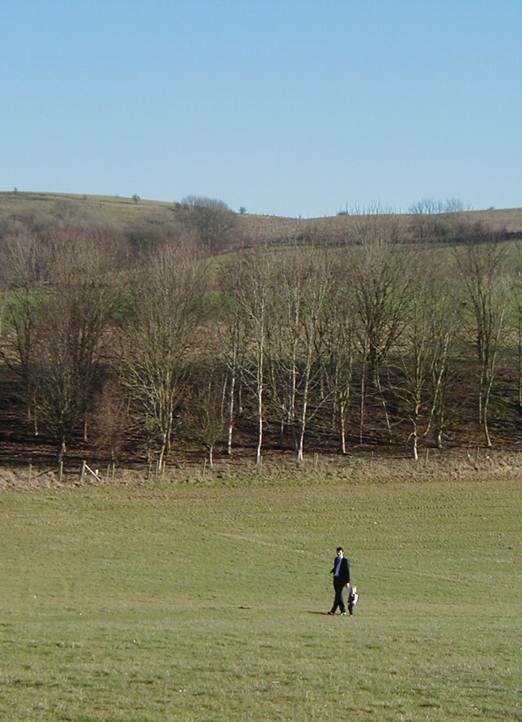 They never had a car, so I’d guess dad had driven to Bexhill to collect them and would later be taking them home. Standing next to granny is her eldest sister, Ellen who was known by us as Aunt Nellie. She lived in Firle where, I discovered later, villagers all knew her as Granny Toms. Toms was her married surname. 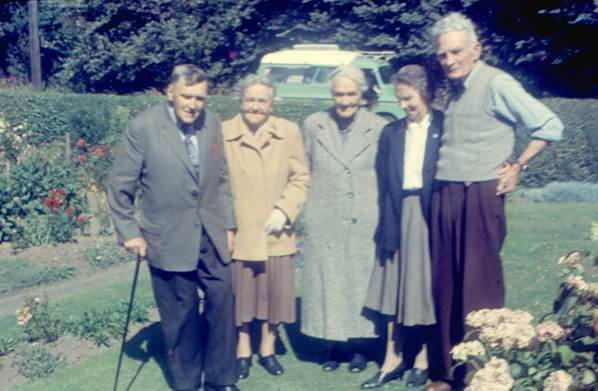 Granny was the youngest child of George and Sarah Ann Stevens, born in 1892. Nellie was the oldest, born in 1880. By 1961 they were the only survivors of the seven children who were brothers and sisters. One day, Nellie must form the main subject of a blog post. She was a marvellous old lady when I knew her. Next to Nellie is – er – Nellie. She was a cousin of Gran and Aunt Nellie. Nellie lived at Isfield. The photo is taken in her garden and to avoid confusion we called her ‘Nellie at Isfield’. In the way of speech the words flowed into one another – Nellieatisfield – and it got abbreviated to Nellier. Standing next to Nellie is her husband, Reuben Joslin. I’m after help with Nellier so here’s a bit of her life story. Ellen Kate Allen was born on 1st August 1894 in Isfield. Her parents were David Allen, also born in Isfield and Susannah (née) Crosby from Butley in Suffolk. Susannah was the sister of my Great Granny. In 1901 Ellen was a 6 year old living with mum, dad and two older sisters. Dad was a farm labourer. In 1911 Ellen (called Helen on the census) and big sister Mary were the two occupants of 28 Florence Road in Brighton. Mary was a cook and Ellen was a parlour maid. It looks a nice house on Streetview. Presumably the family were away at census time and the two sisters had been left house sitting. Ellen married John W Newnham in 1917. The marriage was registered in the Uckfield district. This includes Isfield so quite probably the marriage was at Isfield church. I have no record of any children BUT when great granny died in 1929, a newspaper report says one of the mourners was Miss Newnham. It’s probably a mistake, and means Mrs Newnham, but it leaves me wondering If Nellie and John did have a daughter. John Newnham died in 1930. 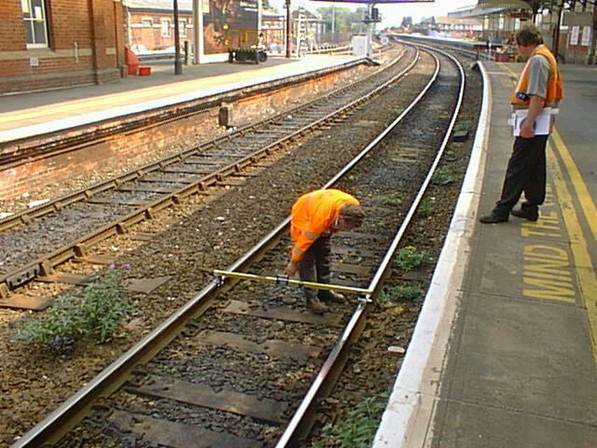 The death was registered in the Uckfield district. Ellen married Reuben Joslin in 1934. He, of course, is the man in the photo. He was 11 years older than Ellen and died in 1964. Ellen died in 1978. She joined Reuben in Isfield churchyard. Of course, I should have asked questions of these people and I could have known everything. But I was young when I knew them and had no real thought for the possible interest of their past lives. I’d like to know about those sisters of Ellen (Nellier) too. Mary Elizabeth was born in 1889 and Mabel Francis in 1891. I don’t think this blog entry is really nerd like at all. It is certainly very happy. A year ago today it was one of the best days ever. It was my daughter’s wedding day. It was wonderful to be surrounded by our families and friends – truly enjoyable and memorable. But I’ll avoid any detail on people and show you the luck. This was close by the wedding venue. 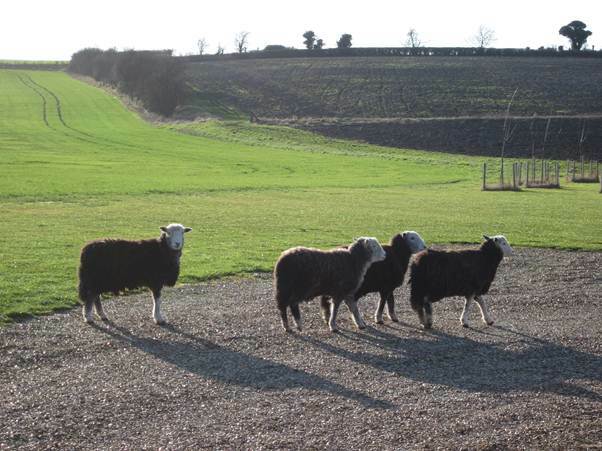 Can you see those sharp shadows as the herdwick sheep paid us a visit? What a glorious scene it was. And what a fantastic day for weather. It was simply glorious. Some guests take a walk in the absolutely fantastic sunshine. 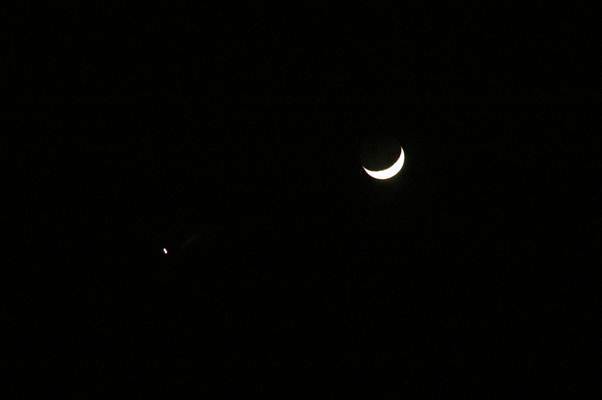 As night fell there was the moon and Venus. The day was perfection from beginning to end. Well, what a strange card this is. I find it interesting that the address could just be a person’s name and a village. Unfortunately, the sender hasn’t signed it so I’m guessing just a bit. The message reads, ‘We will be over next Friday night am going to kill the pig on Wednesday will bring you it ??? bone’. I’m not sure which bone was on its way to Helen. There is evidence here to this being sent by my Great Aunt Nellie. She’d have been Helen Stevens’ granddaughter. Nellie and her husband, Frank, always kept a pig. Indeed, I’m told that in my early childhood our Christmas dinner was based around a bit of Aunt Nellie’s pig. She lived in Firle and that would have got a Lewes postmark. But in 1904 she wasn’t married, was in service and could hardly have kept a pig and, in any case, the handwriting is all wrong. 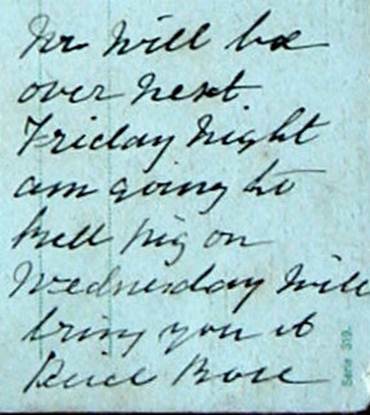 That handwriting, and the lack of punctuation and grammar, make me think this was sent by Sarah Ann Stevens, my great grandmother, and daughter in law of Helen. Now I didn’t know that she and great grandfather George kept a pig. 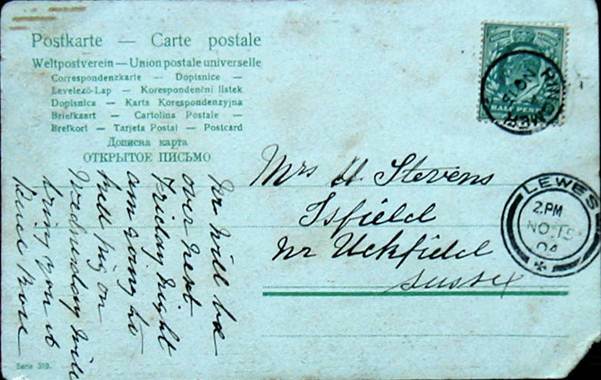 They lived at Ringmer which does seem to be the initial postmark so it all ties in. 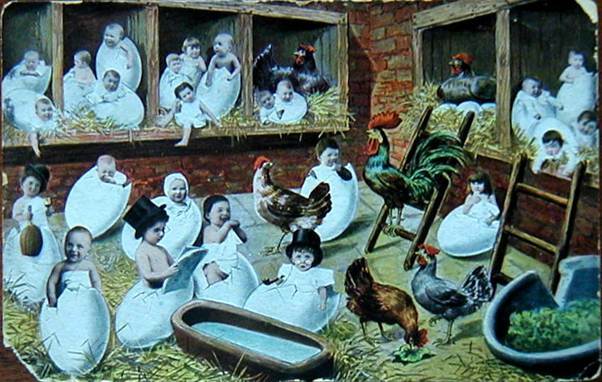 Even the picture on the card ties in, for Great Granny called my grandmother her little china chick. I believe Granny was staying with her granny, Helen, at this time. So, another lovely snippet of family history. 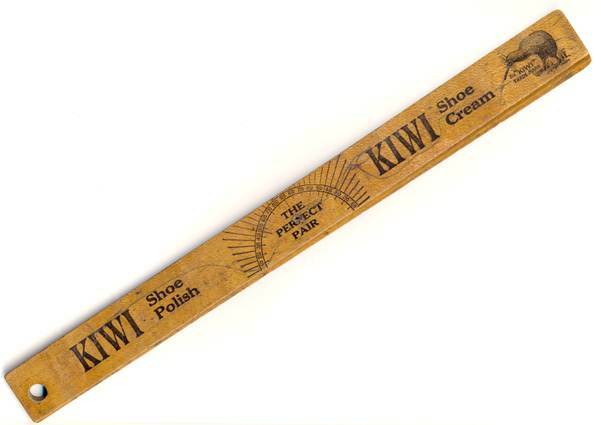 In yesterday’s post I showed a ruler and mentioned that grandad was a cobbler. He and Granny lived in Bexhill but I understand that seaside town was all but totally evacuated during World War II. Certainly Granny and Grandad upped sticks and moved to various locations in Sussex, with Grandad getting work as he could. 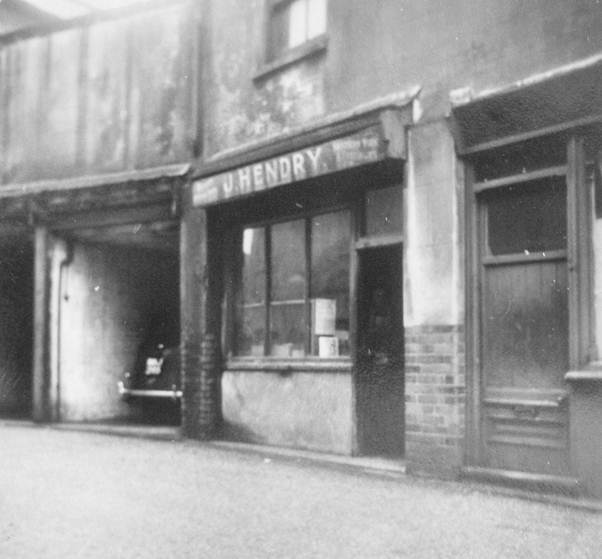 At some point and I don’t know just when, Grandad was able to buy a small shoe repair business in Tunbridge Wells. That was where I first knew my grandparents. They didn’t live at the business for that was little more than a converted garage. They had a flat elsewhere in town. For the record, the journey from my home to see Granny and Grandad involved a steam train ride. Most of our local trains were electric and can I say that at first I was terrified of this hissing monster at the front (or back) of the train. I learned to love them later. 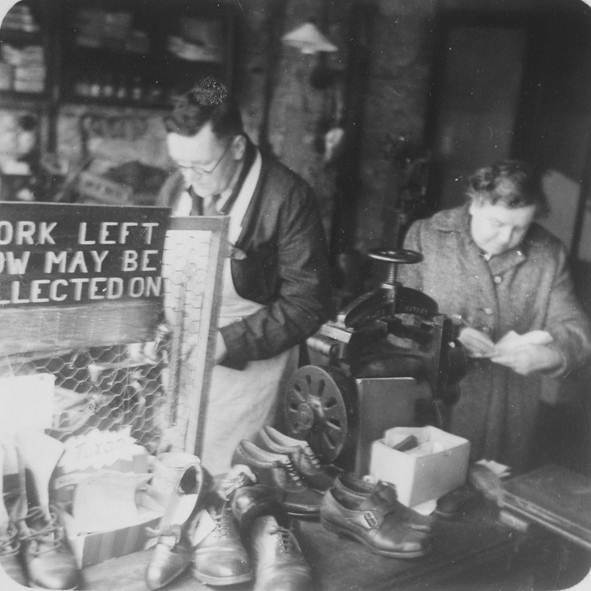 This post, though, is about Granny and Grandad the cobbler and here they both are in the business premises in Tunbridge Wells. This was the shop – on Rock Villa Road. My grandad must have bought the business from Mr Hendry. These photos date from 1954. Fairly soon after, Grandad retired and he and granny returned to Bexhill. Was six old pence – 6d – cheap for a record in the early to mid 1920s? That old tanner (6d) in 1925 has about the same purchasing power as £1.20 today. It puts the old record in the right kind of range to be cheap. I believe a CD single costs an average of a couple of quid – more than the inflation corrected old record price. Mind you an MP3 can be bought for an average of 70p which is rather less. 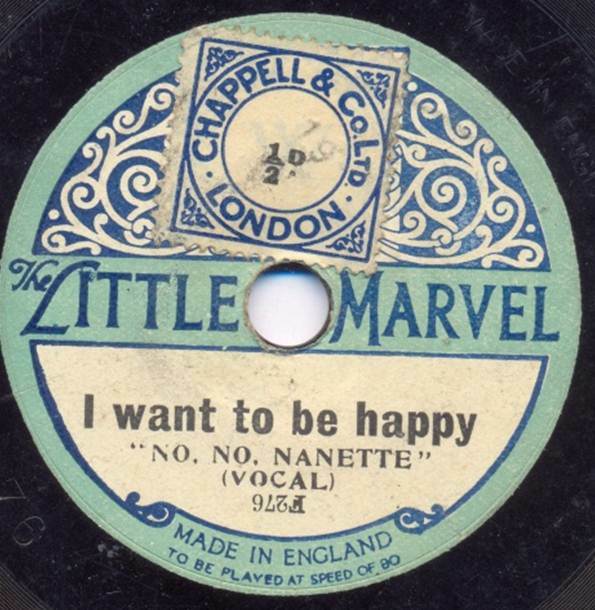 Here we have the entire record which is of the song, ‘I Want to be Happy’ from the show ‘No, No Nanette’. Artists performing don’t get a mention. The record is small at a mere five and a half inches diameter. 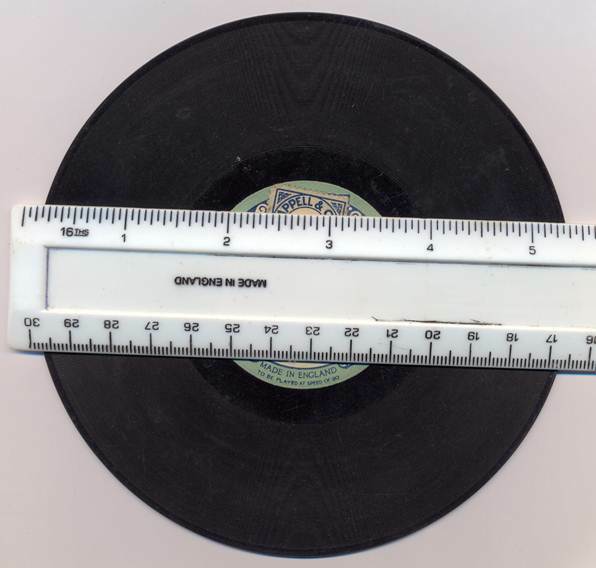 The vinyl singles of my 1960s youth were 7 inches in diameter. 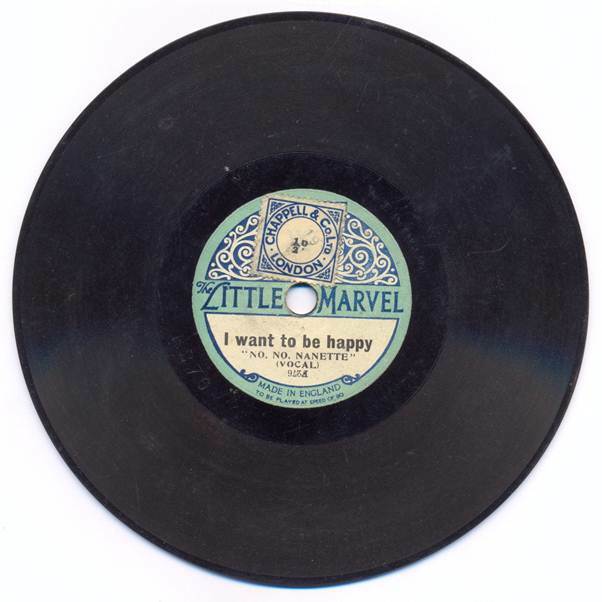 Little Marvel records were made from 1921 to 1928. So this disc must be 90 years old, about and it still plays. 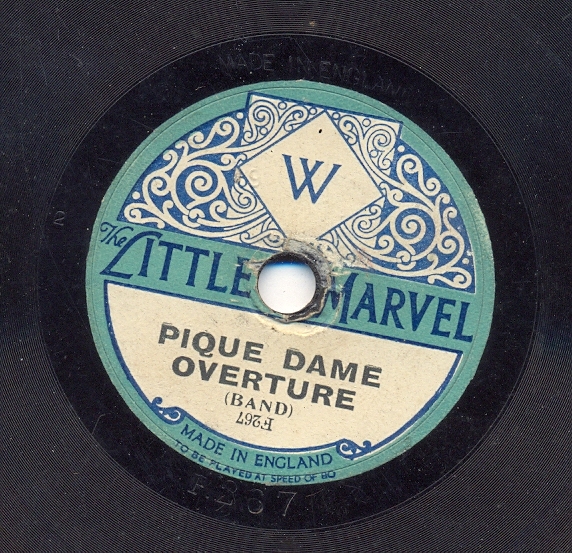 Most people, if they call these old records anything, might call them 78s thinking that was the number of spins a minute the record made. For Little Marvels, however, the designated speed was 80. There we see the speed given as 80 and we also note that Little Marvel had to pay ½d duty for the right to use this popular song. The other side was non-copyright so has no duty. It means we can see the Woolworth W logo of the day. What a great little piece of history that is – and if you want to know more about ‘Woollies, I got some information from an on-line museum dedicated to Woolworth at http://www.woolworthsmuseum.co.uk/ . Pendennis castle is a fine Tudor fortress near Falmouth in Cornwall. King Henry VIII had it built. Being down near the south west corner of the country it was seen as crucial to the defence of the land. 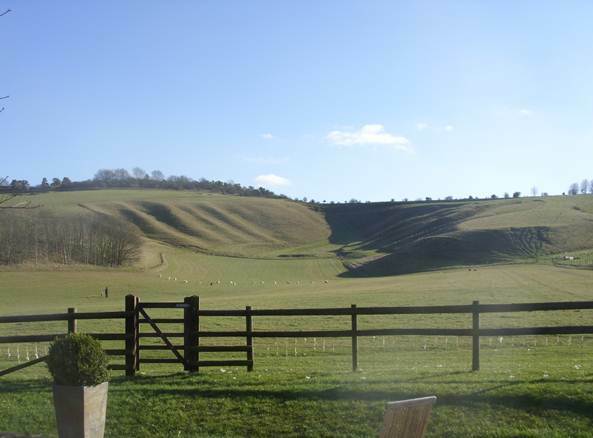 It is undeniably in a spectacular location. And this blog entry has little to do with it. Only the name remains the same for this blog. Guess what? This is about a railway locomotive. The Great Western Railway opened in the 1830s completing the main line from London to Bristol in 1841. There was already a route leading further west and before long the company had reached distant Cornwall, including Falmouth. Many would say that the GWR started building the best locos in the land in the early years of the 20th century with George Churchward as the chief engineer. After the First World War train weights and speeds continued to increase and in 1923, Charles Collett who took over the engineer’s job brought out a loco called Caerphilly Castle. 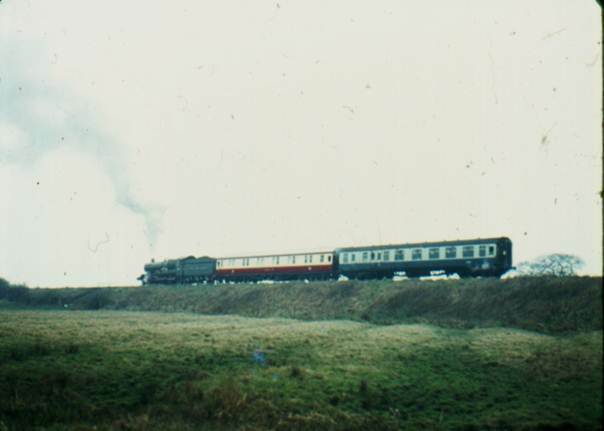 The loco was very successful and a big class – the Castle class followed. In fact they were so good that they were still being built in 1950. Nearly all were named after castles served by the Great Western Railway. Pendennis Castle was one of the early ones – completed in March 1924. 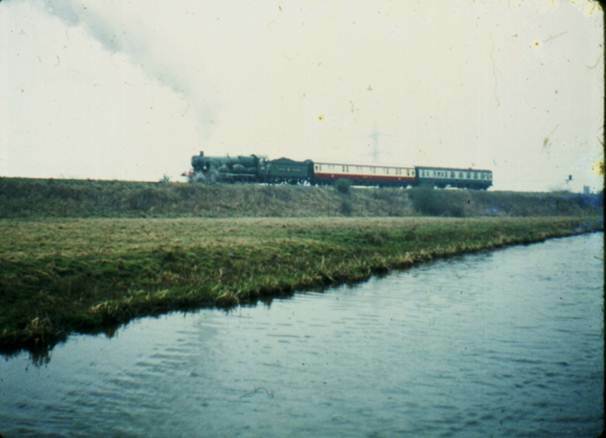 She was still running when I was a train spotter in the early 1960s but I never saw her. That’s surprising really for she was based in the Bath/Bristol area so surely ran into Paddington in London which was one of my train spotting haunts. She was bought for preservation when she was taken out of main line service in 1964. Pendennis Castle always was a celebrity engine for in 1925 there had been loco exchanges between various companies and Pendennis Castle had trounced the more famous Flying Scotsman by being quicker and burning less coal. But preservation never went smoothly. She was transferred from one place to another several times. 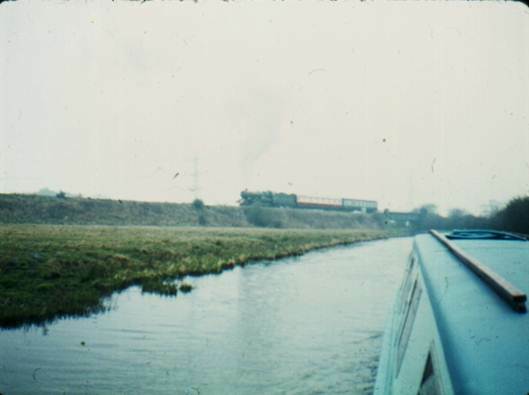 Just where she was based in 1975, I couldn’t tell you, but on that 1975 canal trip, we saw a steam loco on a line, with a couple of coaches. I think this was somewhere near Rugely. But travelling by canal takes you into a different world. Unless you keep a careful check on proper maps you don’t always know where you are. Canal charts don’t give the same information. Anyway, the loco got nearer and proved to be Pendennis Castle. I think I could say that in a few short moments Pendennis Castle steamed into my life and then steamed away. Fairly soon after she was shipped to Australia. She’s back in England now and may be back in working order soon. Who knows, maybe I’ll have another chance encounter with Pendennis Castle at some place and time in the future. It has to be said that this is captioned as ‘fun in the fifties but most people in this photo are now (2013) well into their 60s for this photo dates from 1950. I’m not in this photo. I suspect I was thought to be too young and I’m sure that was right. My brother and sister are there though. 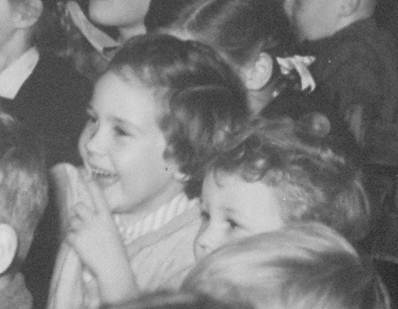 My sister is right in the middle with a hand up to her happy, smiling mouth. My wide eyed brother sits next to her. Most of the youngsters are entranced, captivated, amazed or perhaps a little apprehensive. There’s a group on the right, though who do not seem to be taking much notice of the entertainment. I have no idea what the entertainment was. My dad has captioned this photo ‘Ifield Association Childrens’ Party’. The venue is clear. It is St Margaret’s Hall which was the village hall in Ifield. Back then Ifield was a village community a couple of miles from Crawley. 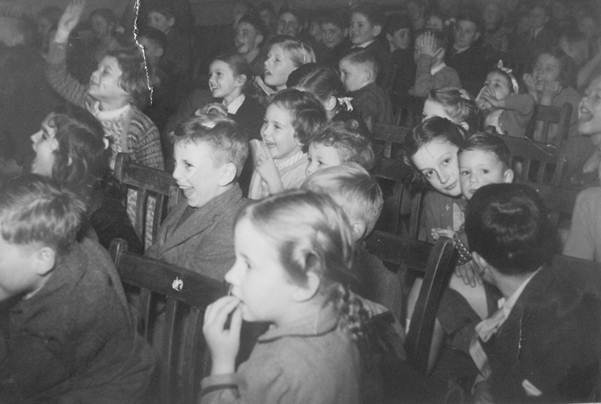 The Ifield Association laid on all sorts of entertainment within the village. In those (more or less) pre-television days it was clear that this was very much a highspot for the youngsters. Here were children being children and having a whale of a time. I suspect this must have been a press photograph. Certainly a powerful flash was used – you can tell by the brightness of the near people and gradual fading to darker tones on the people further away.